The south Korean company is being counted one among the leading passenger makers in our nation's profitable car market. It has splendid fleet of vehicles in its esteemed stable, which has been ruling the hearts of millions residing in India. 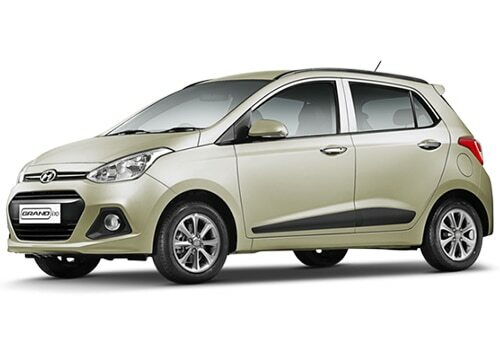 It consists stylish line-up of vehicles and they have added another new vehicle to their hatchback segment and it is christened as Hyundai Grandi10. The manufacturer launched this vehicle this month (Sep, 2013). This car is going to be positioned between i10 and i20 model series. These two variants have done incredibly well in regard to the revenue generation as well as sales and this time the car maker expects better results. 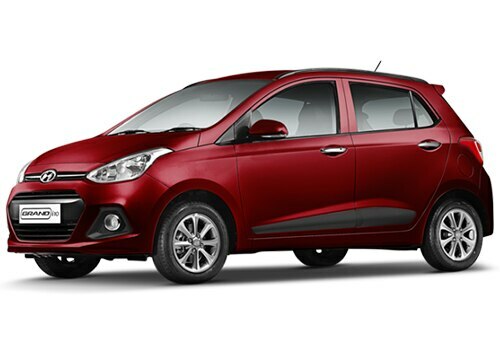 Hyundai Grand i10 price is 4.30 lakh (Ex-showroom, New Delhi). Hyundai Grand i10 features include both petrol as well as diesel option. The buyers find it easy to select their preferred variants. These engines are mated to an advanced transmission. Information with regards to top speed as well as time taken by the engine to cross the 100 kmph barrier is also not available. These specification are yet to be revealed by the manufacturer. The company has loaded the new car with interesting features, which are expected to be better than i10 and it will be par with those which are already integrated in i20 line-up. In Addition, the Hyundai cars are also keen to incorporate more number of safety features which will help in taking better care of the passengers as well as the car. The features include air-bags for protection of passengers, standard anti-lock braking system along with electronic brake force distribution, suspension mechanism which would be well balanced for proficient braking system. Also, the rear parking sensor are expected to be the standard feature in the variants belonging to the top-end. Thus, by putting together all these features along with stunning exterior body line up as well as as luxurious interiors, it would be treat to customers. The petrol engine versions would be equipped with 1.2 litre based kappa mill. This prevalent engine would be producing a peak power of 82.9bhp at 6000rpm in combination with a maximum torque yield of 113.7Nm at 4000rpm. The 1.1 lire U2 engine would be expected to churn out pertinent power as well as torque figures, which will be perfectly suited for the driving conditions of Indian roads. The consumers who like to view the Hyundai Grand i10 pictures, do visit the photo gallery of the company and Hyundai also launched a iTech version of Hyundai i10 with some exciting new features.